A.J. Green is owning the first half of Thursday’s game against the Baltimore Ravens. Two Green touchdowns in the first quarter (which can be seen here and here) put the Bengals up 14-0. That lead increased to 21-0 when he added his third touchdown of the game early in the second quarter. Twitter shared its feelings on the dominant performance. RIP to your team if you’re playing AJ Green this week. AJ Green has just matched Julio Jones Touchdown count for all of last season in one half of football…. 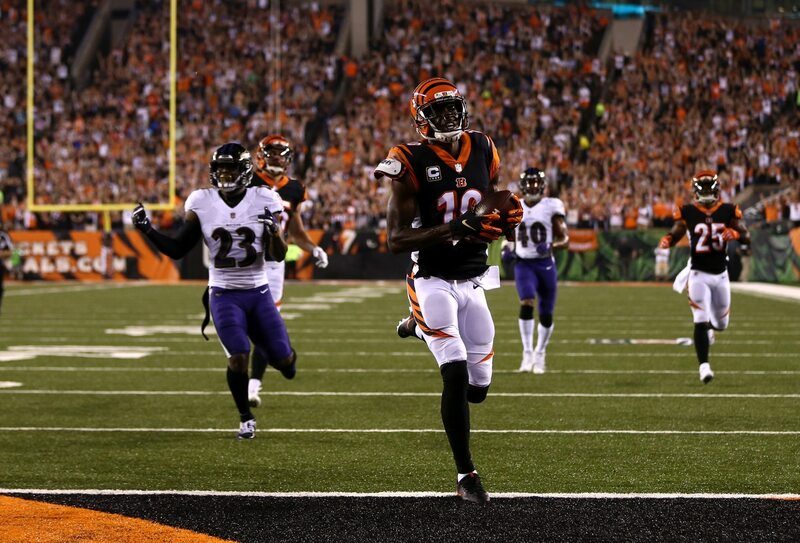 BREAKING: AJ Green has been charged with crimes against humanity for what he’s doing to the Ravens. Man to man on AJ Green again. Against most teams, AJ Green is a superb WR. Against the @Ravens , he’s an all-in-one Jerry Rice, Randy Moss and Calvin Johnson. Sheesh. The Ravens should consider covering AJ Green. It probably wouldn’t be the worst idea.